Daffodil Bowl's [Cosmic] is your Cosmic Bowling experience in Puyallup. Laser Lights, Disco Lights, and Black Lights. LOUD heart pounding music. Our bowling lanes even glow in the dark during our [Cosmic] Events! Join us for a night of [Cosmic] and bowl under the disco lights and loud music. 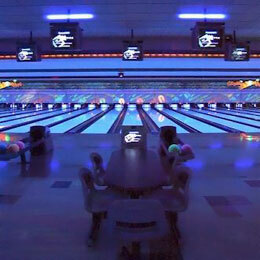 We also offer great [Cosmic] bowling parties for kids, teens and adults! Give us a call at (253) 845-9166 for [Cosmic] times.